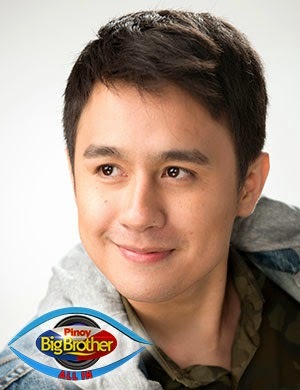 Manila, Philippines - Fourth Pagotan dubbed as the 'Brad Bait ng Pasay' has just been evicted from the "Pinoy Big Brother" house during the live 9th eviction night of 'PBB All In' on Sunday, July 20, 2014. Fourth is among the nominated housemates who got the lowest percentage of votes from home viewers, 15.62%. On Saturday, the partial results of eviction was announced with the 'Talented Darling ng Paranaque' Loisa Andalio and 'Brad Kulit ng Pasay' Fifth Pagotan were saved from eviction as they got 43.58% and 17.84% of votes respectively. Big Brother revealed on Sunday that 'Lady Mahinhin ng Bacolod' Vickie Rushton was also saved from eviction as she got of 22.96% votes. The nominated housemates Fourth, Vickie and Loisa received nomination through the immunity challenges. Due to the power given to evicted housemate Cheridel, Fifth received automatic nomination. Big Brother on Saturday also announced that housemates did not succeed on their weekly task called "Card Attack". On this task, Jane had to master the art of throwing cards. At the end of the week, she has to use cards to hit, blow, or destroy certain targets using cards. He also had to pick two housemates to master the art; she picked Fifth and Joshua. To win the weekly task, the three of them had to hit 15 targets. On Saturday, Fifth was also given 100-second encounter with former houseguest Alex Gonzaga. They have talked about Fifth's revelation about his sexuality. On Day 80 in the house, Fifth confessed to Big Brother that he is a bisexual. The 9th eviction night of PBB once again dominated online conversations with '#PBB9thEvictionNight', 'Vickie' and 'Why Fourth' topped Twitter trending list.